The remains of Walton Tower Mill, near Street, Somerset. The county of Somerset in south-west England was once blessed with several hundred mills. Most have now disappeared leaving little or no trace. Only two windmills survive pretty much intact and are still immediately recognisable as windmills. These are Stembridge Tower Mill in High Ham and Ashton Tower Mill in Chapel Appleton. Both of these mills are preserved and can be visited. Brockley – a tower mill, which was derelict by 1820. Chapel Appleton - see our separate section on Ashton Tower Mill. Coombe – a tower mill last in use in the mid 19th century. Curry Rivel – a tower mill, known as Willtown Mill. In ruins by 1890. Felton – a tower miil, which was in use until around 1880 when it was converted to a dwelling. High Ham – see our separate section on Stembridge Tower Mill. Hutton – a tower mill, which stopped working in 1864. Kenn – a tower mill, last used as a mill in 1899. Portishead – a tower mill, built in 1832 and out of business by 1846. Shapwick – a tower mill, at work until the 1890s. Stone Allerton – a tower mill built on a mound and converted to a dwelling in 1910. Walton – a tower mill, which worked commercially until 1910. Converted in to a dwelling in 1926. Watchfield – a tower mill, which stopped working in 1914. 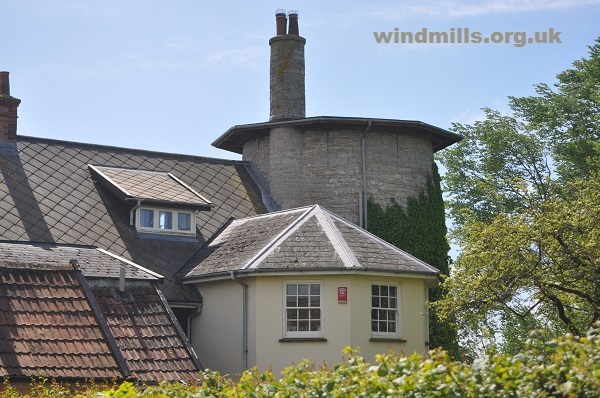 West Monkton - a tower mill converted in to a dwelling in the mid 19th century. 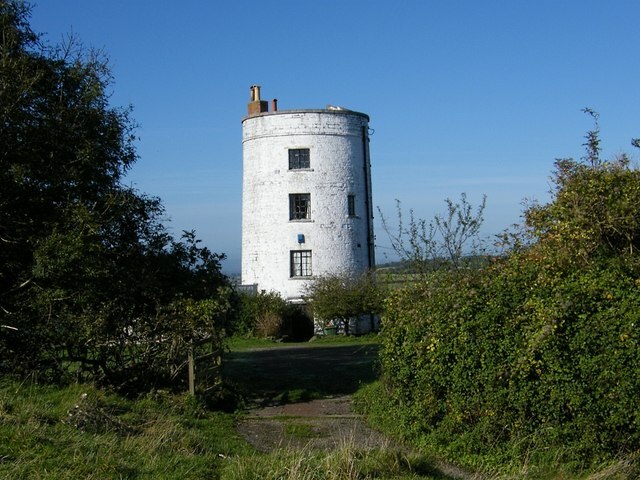 Worle Hill – a tower mill, converted in to an observatory in the 1870s. Worle Vale – a tower mill in use until 1910. It survived pretty much intact until 1962 when it was gutted by fire and the shell converted shortly thereafter in to a dwelling house. The remains of Weare Tower Mill in Stone Allerton. The mill itself last worked in the 1890s.